Learning is defined as the "process by which experience or practice results in a relatively permanent change in behaviour or potential behaviour". In a very literal way, when you learn something, the wiring in your brain changes - new connections are made or old ones reinforced. It is all to do with the neurons (your brain cells) and how your incredible brain works. What is even more interesting, and important in terms of learning, is the role of "emotion" and "repetition" in helping us learn. The brain is the ultimate "pattern matching" device so it wants to find links between what it is currently experiencing and what it has experienced in the past. Maybe we are taking liberties with the term 'experience' here and the words 'processing' and 'processed' would be more accurate - but I think you get the idea. This remarkable ability of the brain allows us to take short cuts when it comes to perceiving situations and so allows us to function in the world in which we live. It can also lead to problems of 'misidentifying' or 'misreading' some sensory cues however which is why we can get caught out by optical illusions. Simply put the difference between what you 'know' and what you 'don't know' creates a kind of internal emotional tension. Imagine a rubber band being pulled between your hands. On the one-hand is what you need to learn, the 'new' information, and on the other is what you already know. The greater the difference between 'what is new' and 'what is known' the more tension there is - just like the tension in the rubber band as you pull your hands apart. That 'resistance' is what we call 'dissonance'. If the dissonance is too great the mind may simply reject the new learning or experience. When we learn something we reduce the tension between the 'new' and the 'known' and so increase our understanding. New information is less likely to be rejected if it has direct, personal relevance or value. Hence interest, desire, curiosity and utility (usefulness) are all important factors in learning. The degree to which new information is used or new skills practiced is directly proportional to stick-ability in terms of learning and memory. That is why practice, rehearsal and some aspects of 'rote learning' are important factors. The application of new learning (knowledge) and techniques (skills) is therefore extremely important. So, having said all of that, what practical steps can be taken to improve personal learning? 1) KNOW what you want to learn. To put it another way recall what you already know about a particular topic and decide on relevant and meaningful questions that will take you from what you know to what you want to know. Questions motivate learning! 2) VALUE what you want to learn. Make sure you have a clearly defined reason or personal value in wanting to learn something. That could come from the fact that you are simply interested or curious or because you need to learn something as a stepping stone to a desired goal. 3) ORGANISE your learning. I am a big fan of thinking tools like mind-maps to help record what I am learning when I am learning it. For most people simply reading new information does not really enhance learning. Reading then turning that information into something different (keywords, bullet points, mind maps, affinity diagrams) is the most effective way of understanding new ideas and concepts. 4) ENGAGE your emotions and your senses in the learning. Be focused and interested enough to become immersed in the learning experience. We learn by seeing, hearing, doing and thinking. Make sure you create space to see, hear (talk), use and reflect upon what you have learned. 5) ASSOCIATE new ideas with what you already know. Make links between your current knowledge and the new material. Tony Buzan's Mind Maps are excellent for this purpose, but any form of concept map or flow chart will help. 6) SHARE what you have learned or want to learn. The best way to learn something is to teach someone else. Teaching means you have to explain and explanation relies upon (or tests) understanding. If you are trying to learn about a very technical subject try writing a jargon free, plain English description of it or tell someone who is a not technical about it. 7) REVIEW what you have learned regularly. Up to 80% of what you have learned will be forgotten in 24 hours if it is not reviewed (revisited). For this reason cramming is not the best way to enhance learning or long term memory. Before starting a 'learning session' reflect upon what you know. At the end of each learning session re-read your notes or mind maps; at the end of the day review what you have learned. More importantly revisit your learning on a weekly basis until you feel you really understand what you have learned. At the end of the day its worth remembering that learning is not always fun but it is about emotional engagement. The importance of the emotions, as expressed through attitudes, values, personal beliefs and behaviour, cannot be understated. If learning is not relevant, cannot be placed within a meaningful context and lacks emotional connection then it will be difficult to engage the mind. Having said all of this it must be remembered that learning is something the brain does naturally. It is really good at it. As individuals we often put barriers in the way of our own learning. Sometimes the barriers come from the expectations and agendas of others (as in school curricula for example) or from our own self limiting beliefs - but that is for another article. 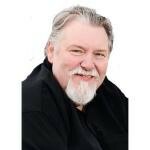 Alan Jones would like to thank you for reading and invites you to subscribe to his education blog (http://www.alanjoneseducation.com) where you can find more information and resources.